Offer excludes Hot Deal, Today Only Deal, 2 Days Only Deal, Best Seller, Licensed Product, and Beauty merchandise. Not valid on international purchases. Discount applies to merchandise only, not value of gift cards purchased, packaging, applicable taxes or shipping & handling charges. Appropriate for select last chance styles for men, women, kids, and toddlers. Proper for jeans, dresses, tops, shorts, and more. Exclusions may apply. The discount is available every Monday only. Offer is valid for new customers only. Some restrictions apply. Free returns for all orders also. Old Navy is a famous e-company which provides customers with trendy and fashion apparel for women, men & babies. Don’t know which clothes prefer your friends or relatives? Buy Old Navy Gift Card and prepare a perfect present for every occasion. Select e gift card to mail it within hours or choose classic one and get free 3 days delivery. You can also enjoy corporate sale program to reward employees or please clients. Gift cards are redeemable at any Gap corporation stores and online shops. The available amount varies from $5 - $125. It's possible to add some cards to your cart but no more than $500. Make your present special and add personalized envelop to classic cards or upload your favorite photo for e-cards. To check gift card balance before shopping, paste card's number at the website and you are ready. Select the best gift for everyone in your family. Offer valid on 1 item only. Not valid on international purchases. Discount applies to merchandise only, not value of gift cards purchased, packaging, applicable taxes or shipping & handling charges. Get 20% Off Any Amount, 25% Off $75, or 30% Off $100 or more. Cannot be applied to previous purchases or combined with any other offer. Offer cannot be applied to purchase of GiftCards, packaging, applicable taxes, or shipping and handling charges and not valid on the following merchandise: Banana Republic: third-party branded merchandise, Gap: GQ. 1. 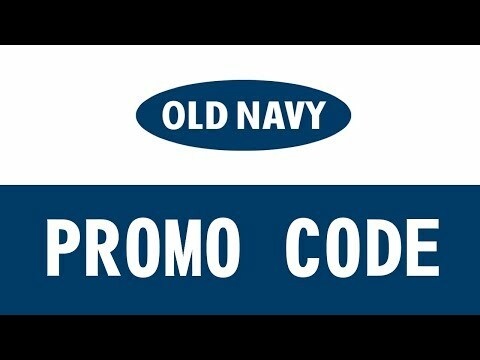 Go to oldnavy.gap.com. Sign into your account. 5. Click on “Keep shopping” or “Check out” on the pop up window to move to the next thing you have to do. 6. If you clicked on “Check out” you will see the details of your items on a new page, decide a shipping plan, check your bag items and click on “Check out”. 7. Fill your shipping details if you haven’t already done this before, select a delivery plan and click on “Continue”. Decide whether you want your item wrapped as a gift or not. Fill your card details and billing address. Under the heading “Promotions & Rewards is an opened field, paste your code into this field and click on “Apply”. To complete your purchase, click on “Continue”. Get your wardrobe rejuvenated and refreshed by Old Navy, which has a huge collection of clothes and accessories for women, men and children. Apart from a unique collection, the online store has a maternity section and also a special collection for the petite as well as tall across various brands, fabrics and sizes. Be sure when you shop at Old Navy you always get top quality merchandise and high standard service.